Power up your rental business with one centralized rental management solution, Current RMS. Check up to the second inventory levels, schedule labor and transport to your customized bookings and create quotes and proposals to send directly to your clients - Current RMS handles all of this and more. See how working from the cloud can benefit your business - sign up for a free 30 day trial and book an online demo with one of our friendly team. 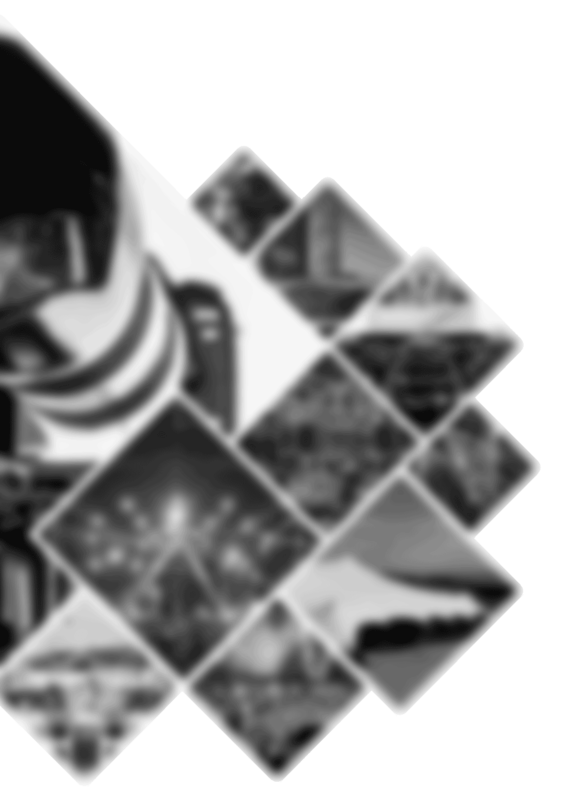 Current RMS is tailored to industries that work all hours - from Pro-AV, Lighting and Events to the Broadcast and Production rental industries. 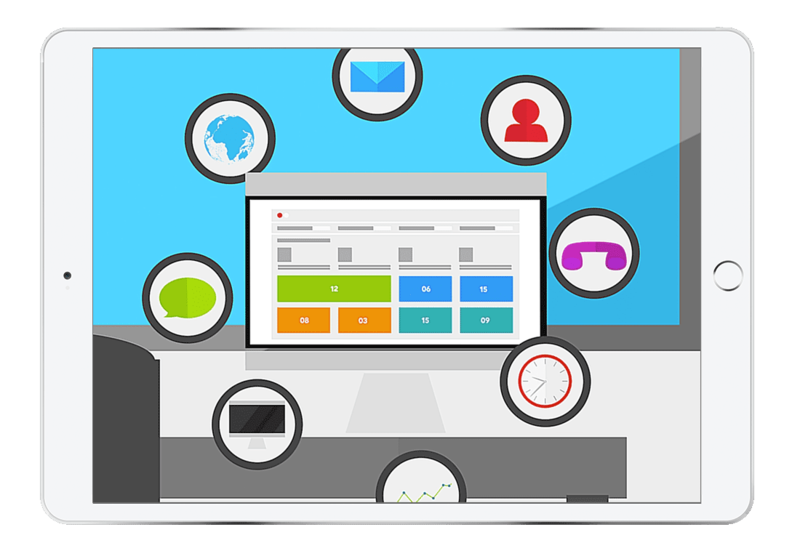 Take your business with you anywhere, with a fully cloud based system that can be used on any device you have to hand. 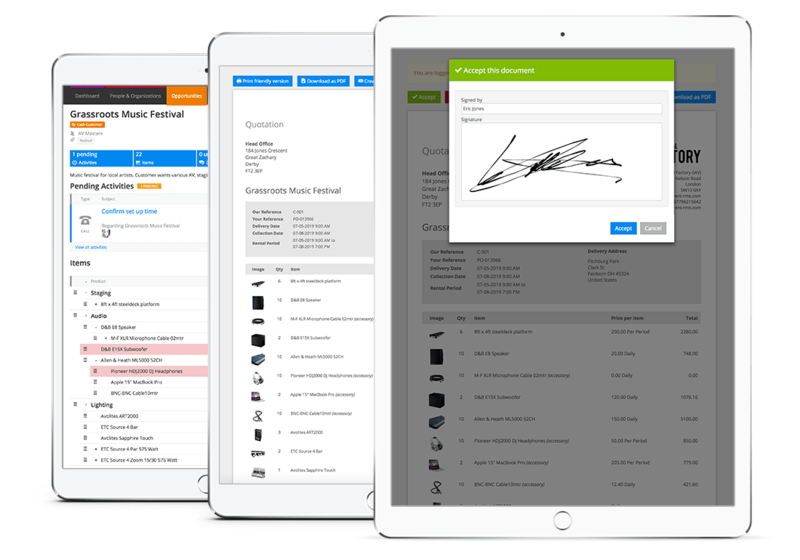 Manage the entire rental process from any device you’ve got to hand - from initial inquiries right through to completed orders and invoices, and everything in between. Deliver the kit you promise with a powerful availability engine at Current’s very core. Quote with confidence and respond to customers in seconds by viewing your kit’s availability for weeks in advance. 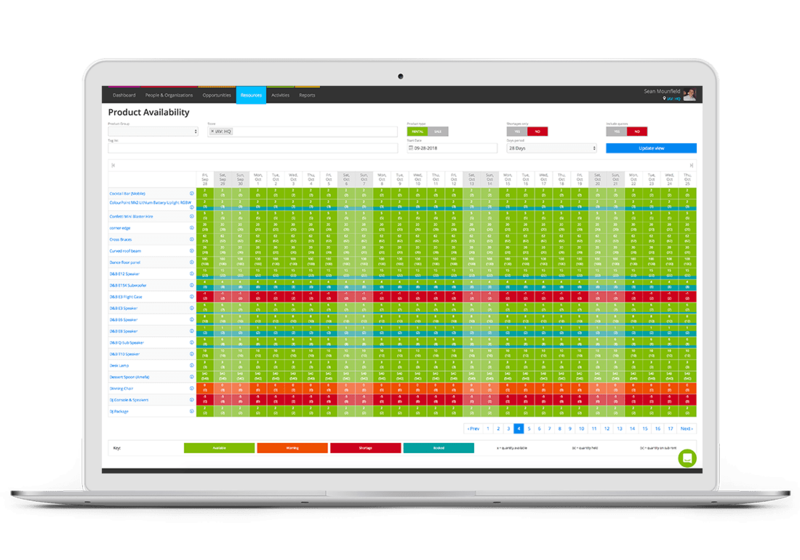 Manage all of your bookable resources and services, like riggers, technicians, transport and venues, right from within Current RMS, whether they’re internal or external. Generate beautiful documents including proposals, invoices and rental agreements that reflect your company branding and identity. Plus, gain your client’s approval and feedback on them in real time. We integrate with a number of different cloud services to help you get the most out of Current, streamlining all aspects of the rental cycle in one centralized solution. We’re trusted by a number of fantastic rental businesses across the globe, from small family-run ventures, to renowned companies with locations all over the world, and everyone in between. The cloud gives us complete control of our hire stock, regardless of location or workstation. Current RMS is helping improve our dry hire workflows - allowing us to react quicker to quotation requests, whether we're in the office or on the beach - it's great. We had been on the look out for a new hire management system for over a year when we found out about Current RMS. Its ticked off all of our boxes, all the staff love using it & its helped dramatically improve & streamline the way we work. I can't recommend it highly enough. 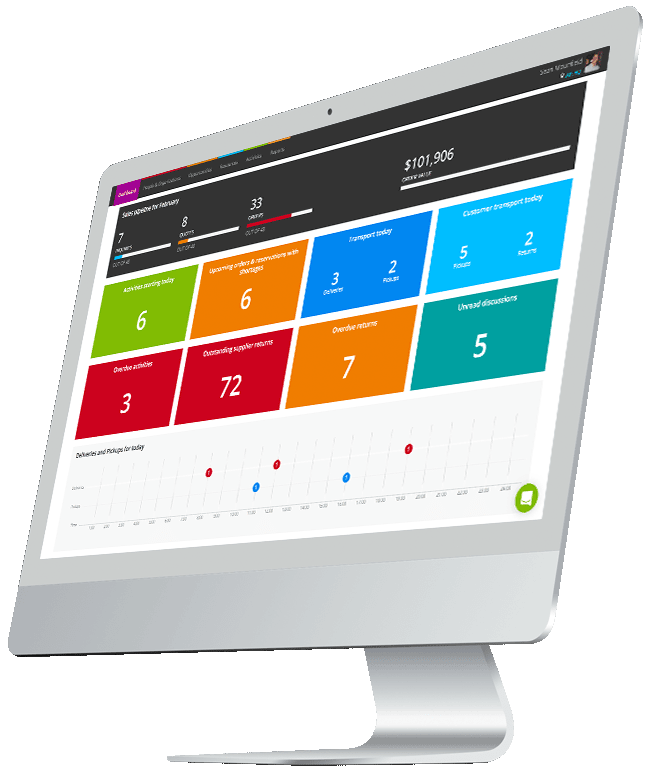 Current RMS is a modern, web-based system that's allowed us to instantly get up and running without heavy upfront costs. Due to their experience and background in rental software, the broadcast market now have a rental solution that really works. Current has helped us reduce quoting and prepping time by at least 30% and our customers always comment on how beautiful our quotes look. The flow of the system is far superior than anything we’ve used before and the support is absolutely brilliant! Current RMS has helped our business tremendously. From the super friendly, knowledgable and helpful staff to a very user friendly software, we are extremely satisfied with our rental software. Our error rate has gone down significantly and our ability to track return on investment item by item is up. We can note how often an item is used, when damage happens and put things aside into quarantine. We’re able to track much more detail than we ever imagined. Business has been fantastic since using Current. We needed something cloud based and flexible, allowing us to work on any platform. Now we're saving time on admin and spending more time with clients. Nothing is ever too hard for the Current RMS team; we always hear back from support within 24 hours. We're so happy we've found Current. 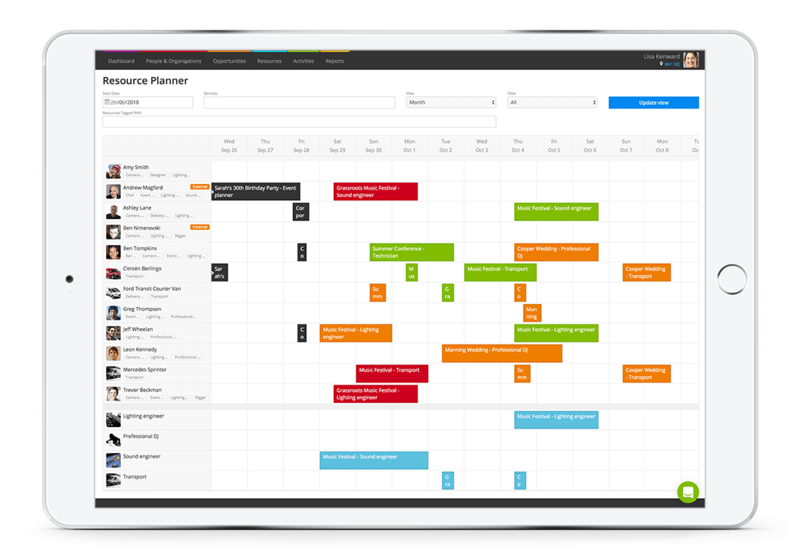 We love how easy it is to use, how flexible and quick the quotation process is and the product availability screen has enormously helped us to forward plan. Our entire furniture rental business is now run through Current. Current has picked up occasions when I would've normally double booked an item, so it is well and truly proving it's worth. Our business is based primarily on very short turn arounds, so the ability to easily track items is a great help.